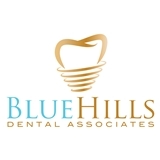 Blue Hills Dental Associates (Braintree) - Book Appointment Online! - Brand new state-of-the-art facility - Digital X-Ray - Located conveniently at Blue Hills Medical Center with plenty of free parking - Implants, veneers, crowns & bridges, partial & full dentures *Please note New Patient and Cleaning appointments are currently not available on Tuesdays. My son has anxiety and Dr. Lee and his team accommodate his issues and never press for things that are not "needed" but give us all the information so we can make the best decision for my son. They really are great!